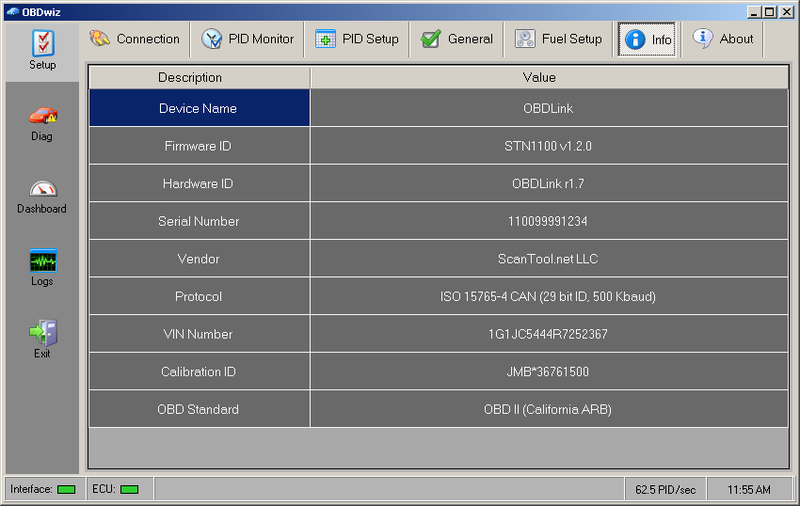 OBDwiz is compatible with all PC-based scan tools sold on this website. 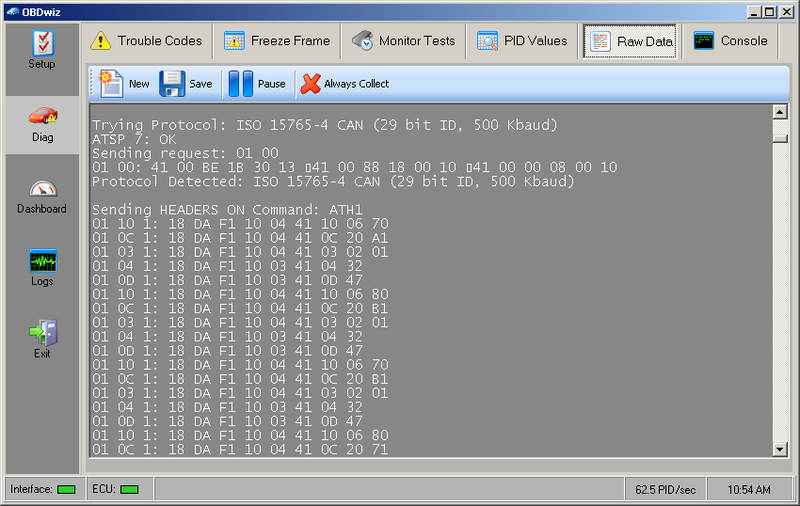 It will run on any Windows Vista or newer computer, as long as it has the Microsoft .NET 2.0 Framework. 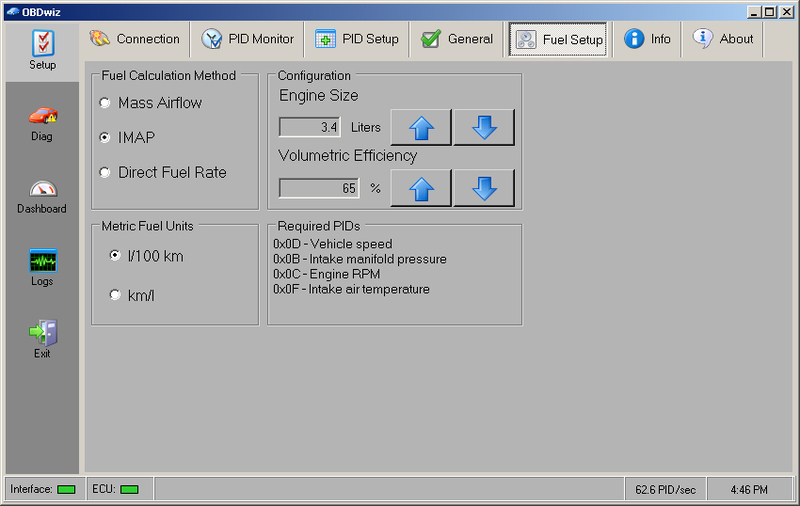 PID Monitor can be used to fine tune the performance of the software. 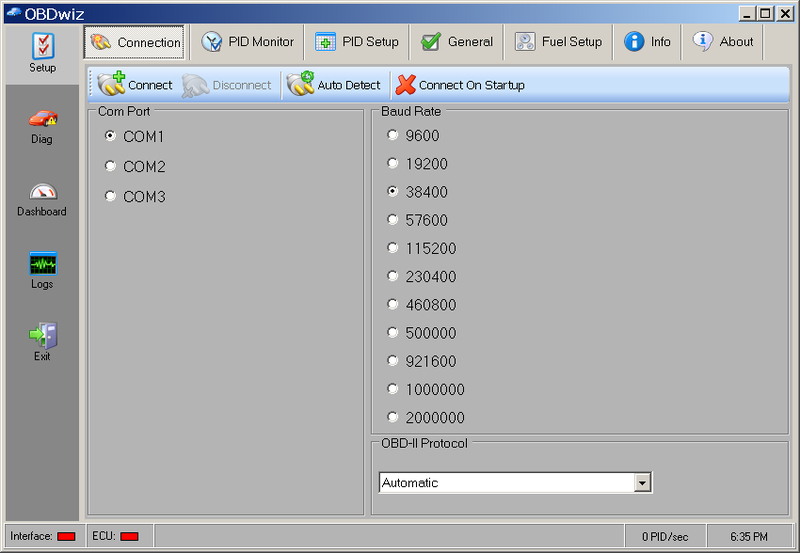 Once the connection is established, you can set up the real-time parameters you want to monitor, in PID Setup (PID stands for "Parameter ID"). 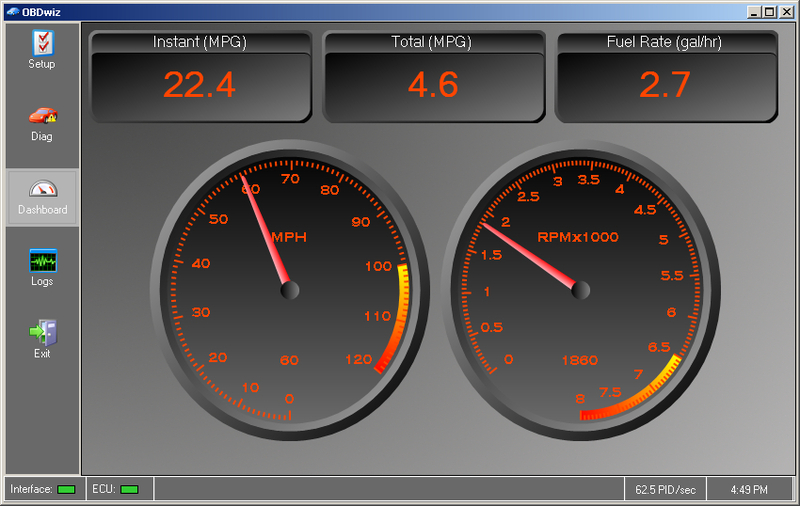 The General tab is used to switch between metric and English units, Day/Night modes, switch between and edit custom dashboards, and set other user preferences. 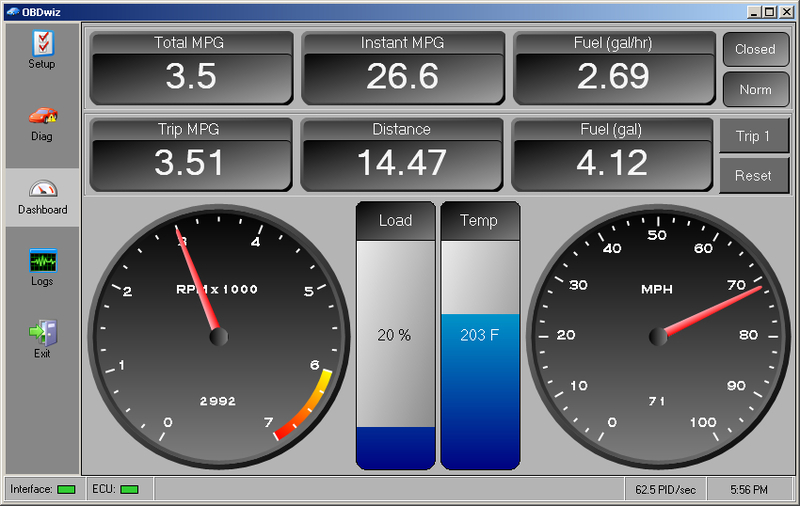 Configure the MPG or l/km meter parameters in the Fuel Setup tab. 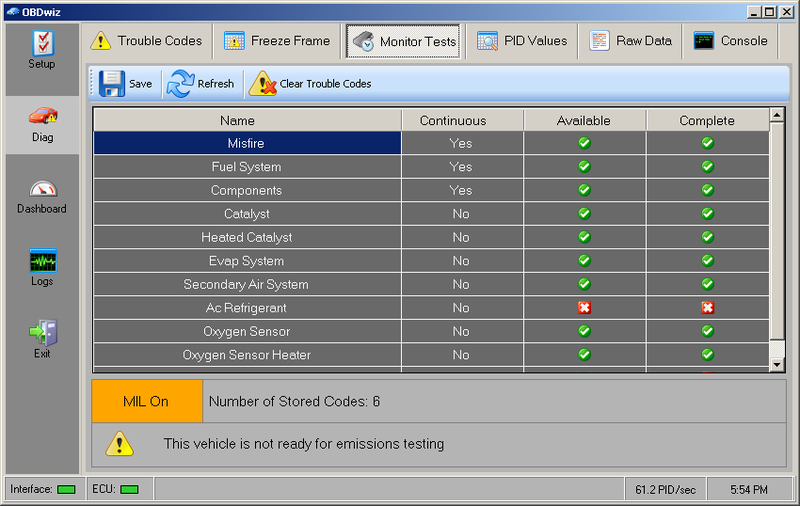 Info tab shows useful information about the scan tool and the vehicle. 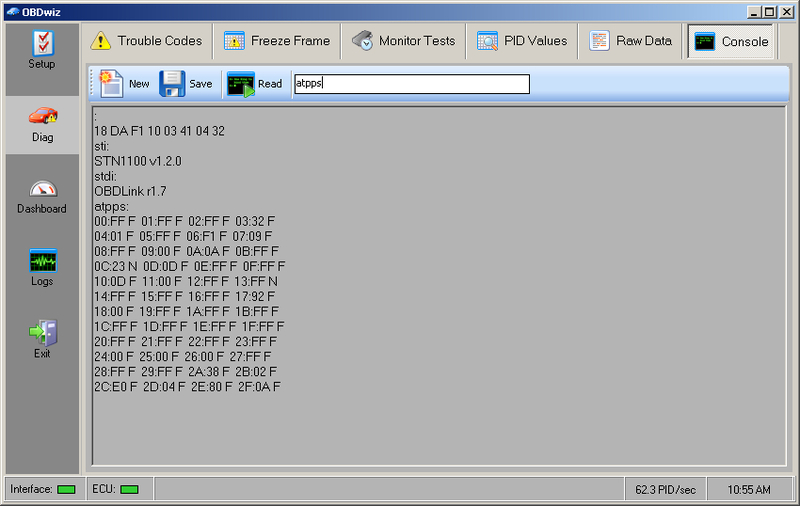 About contains the software version and copyright information. 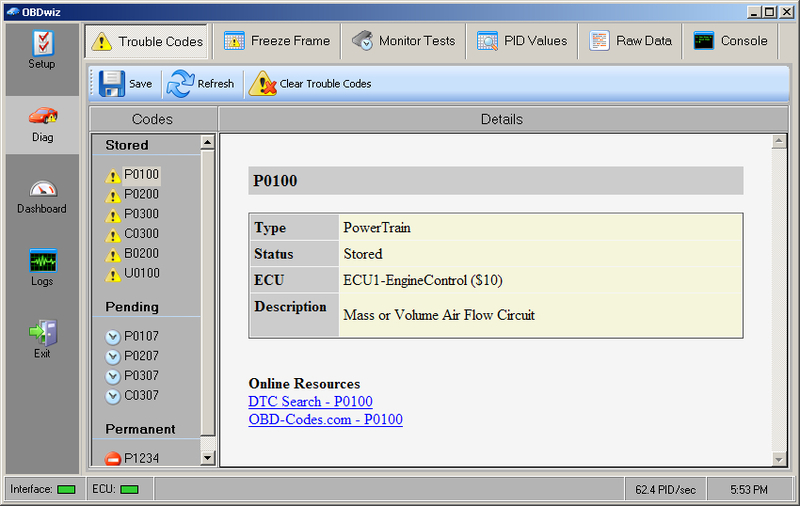 Trouble Codes tab displays any available stored, pending, or permanent DTCs (Diagnostic Trouble Codes). 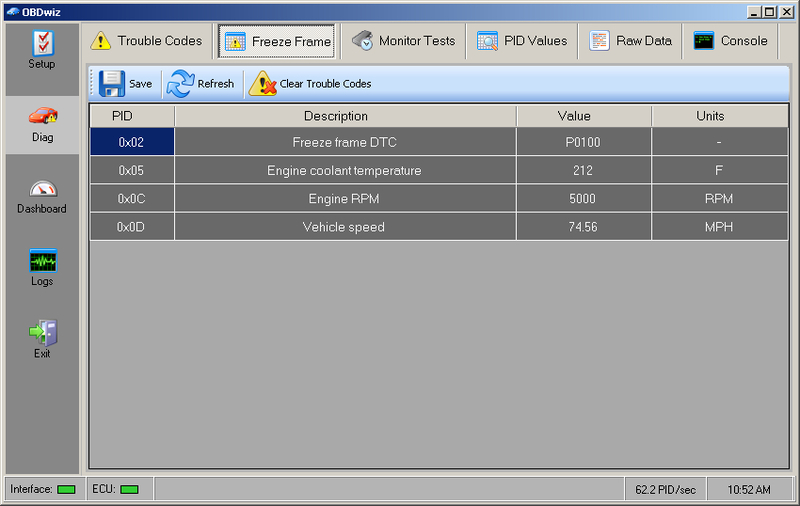 Click the "Clear Trouble Codes" button to erase the DTCs and other diagnostics-related information. 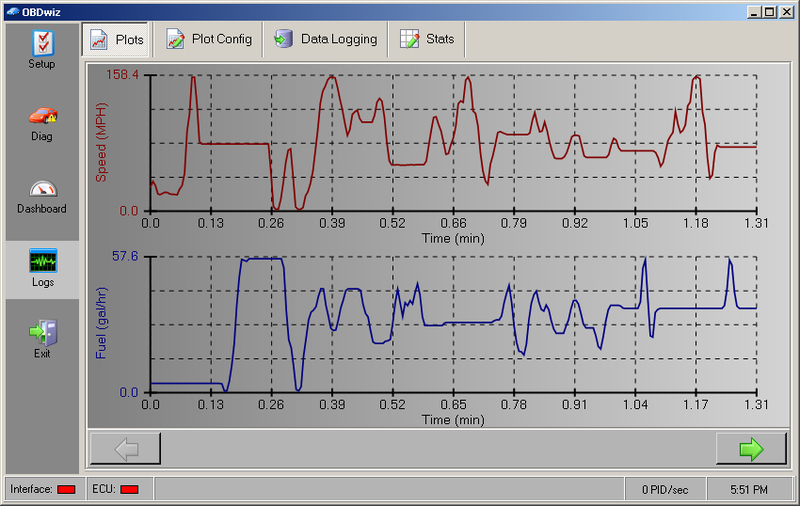 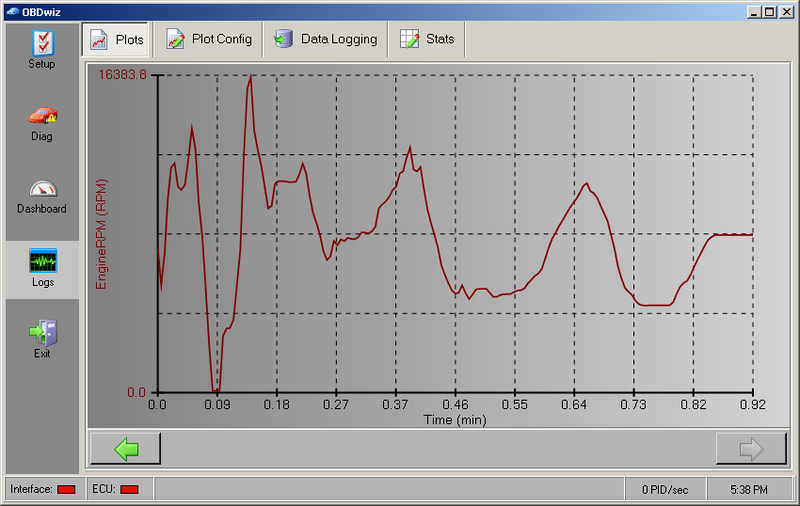 Freeze Frame shows a snapshot of vehicle parameters at the exact moment the DTC was set. 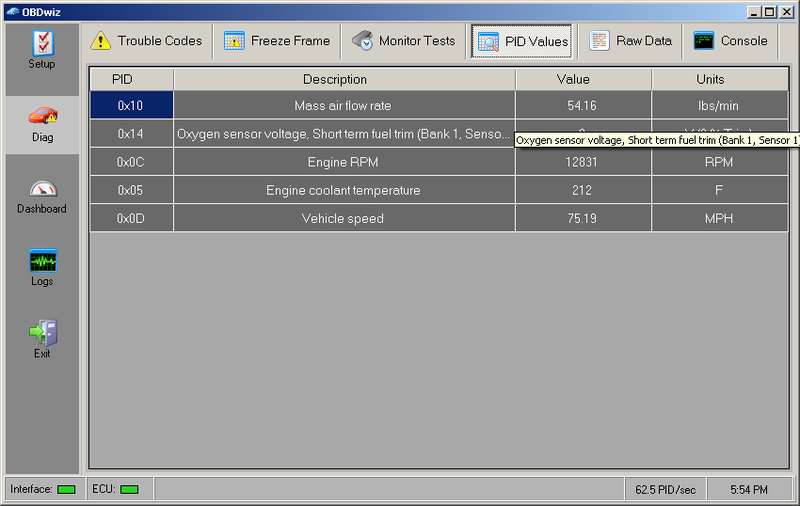 Monitor Tests shows the status of continuous and non-continuous monitors, as well as the MIL (Malfunction Indicator Light) status. 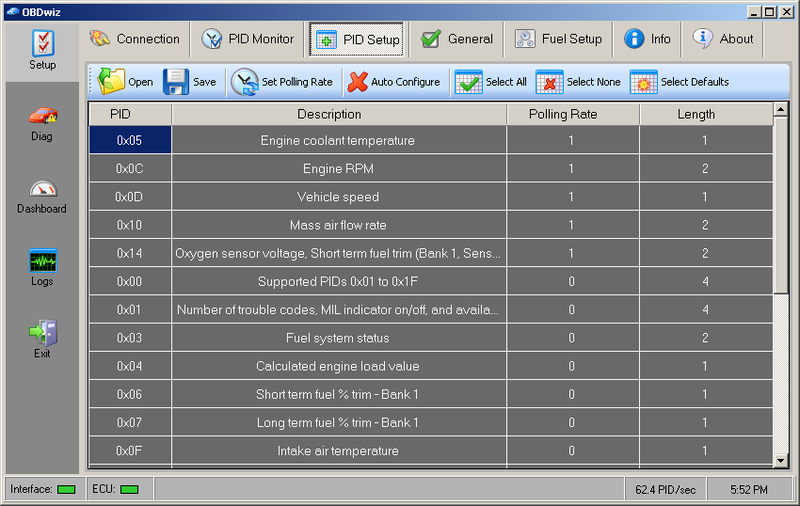 PID Values displays parameters in a simple table. 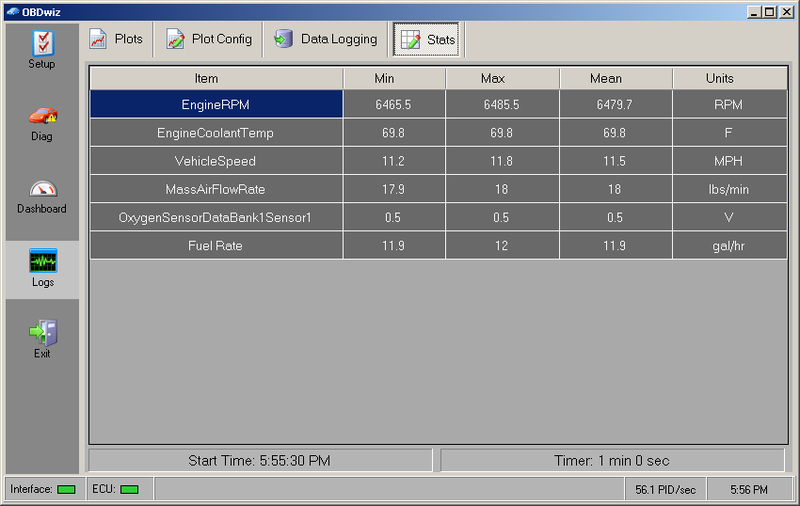 Raw Data is an invaluable troubleshooting aid. 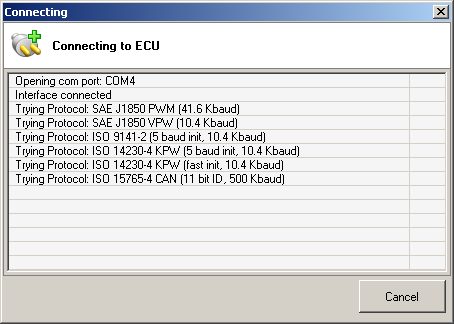 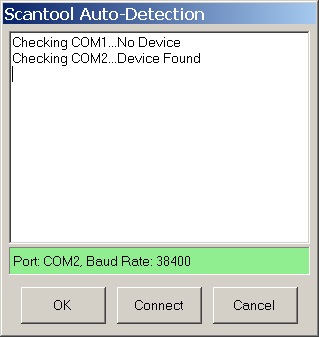 Console allows commands to be sent directly to the scan tool. 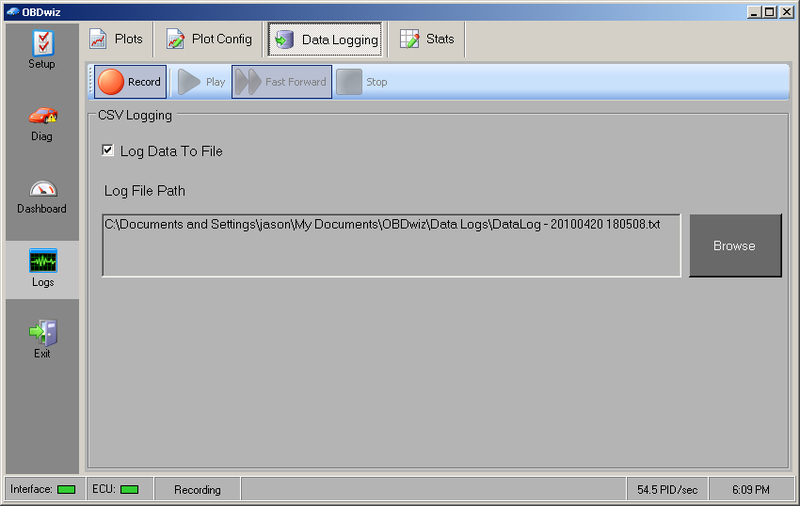 ..or log them for later playback or import into a spreadsheet program. 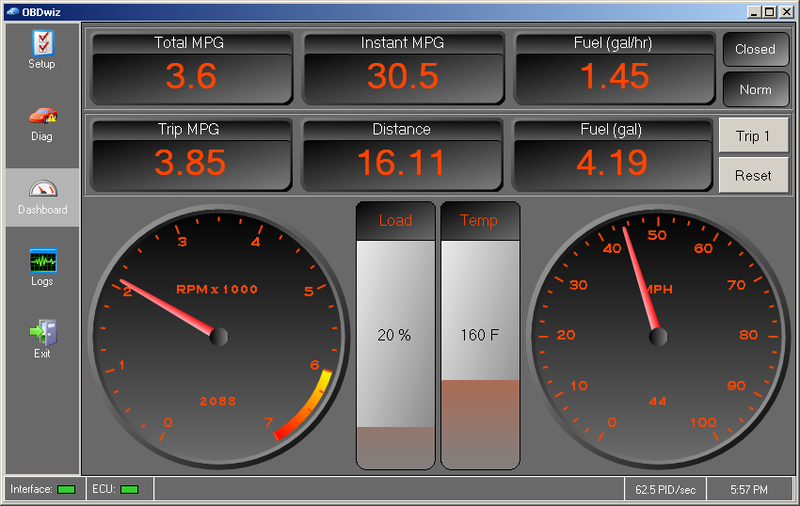 Stats screen shows various statistics for the selected parameters. 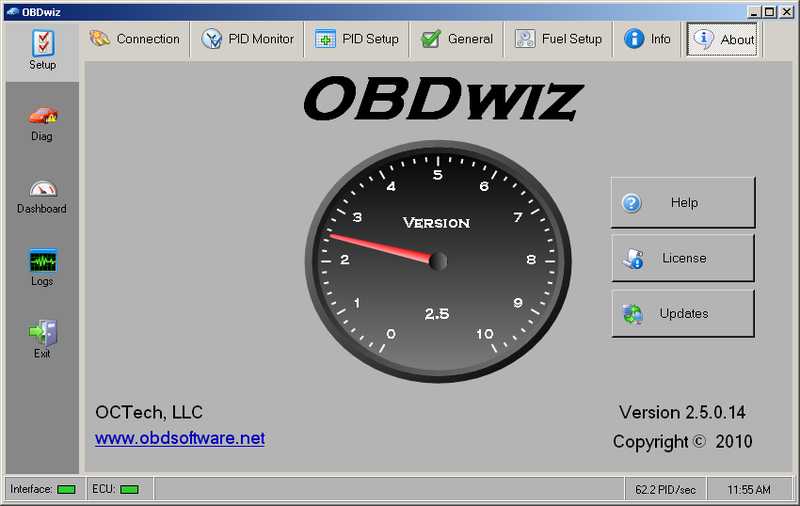 Visit OBDwiz forum board to ask questions and get support for this software.